Instead of a project today I am showing you some of the new products that are in the seasonal Autumn-Winter Catalogue. Today it's the Warmth & Cheer Suite. Stampin' Up! ALWAYS bring out such gorgeous craft products as Christmas, and this year is no exception. In the picture above you can see the Warmth & Cheer Designer Washi Tape. 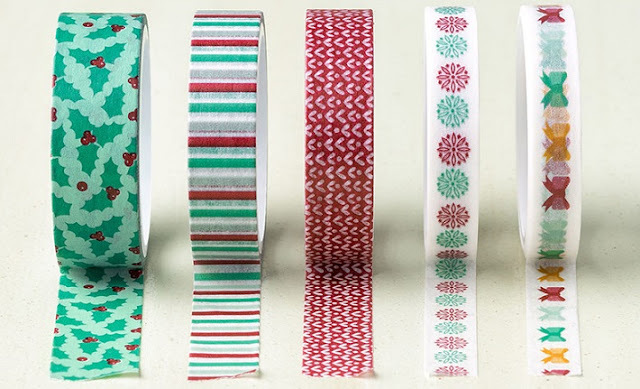 There are 5 rolls of 5 different designs and you get one of each in the pack. You can add our Cherry Cobbler & Garden Green Stampin' Write Markers to your stash if you don't have them already. 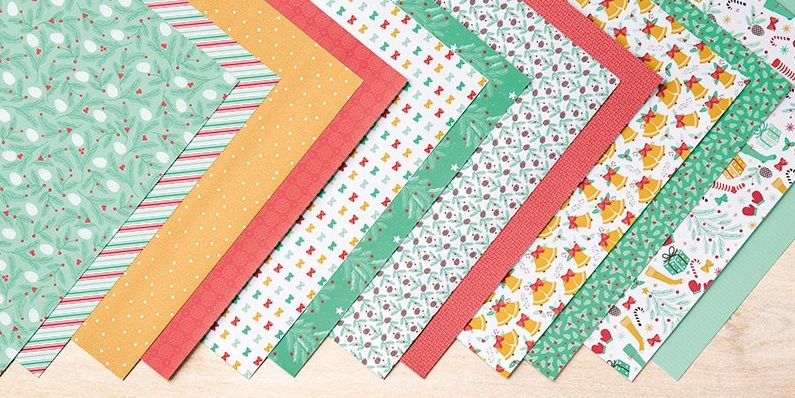 These go perfectly with the Warmth & Cheer Christmas Suite and come in a pack of two so that you don't have to buy the whole set of markers if you don't wish/need to. You can view these items (or purchase them) by clicking on the links highlighted above, or press the Shop Now button at the top of the page to browse the Stampin' Up! Shop.